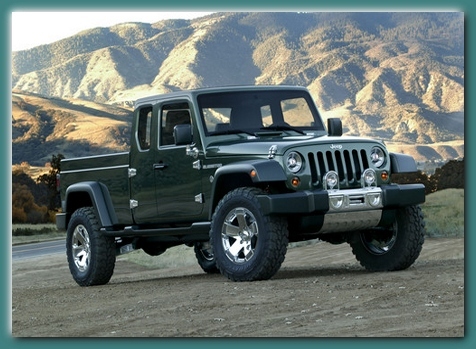 new Jeep truck will begin in the third quarter of 2011 and be branded as a 2012 model. Gladiator concept and is also used in the J8 read more on the J8 below. over a new Jeep Truck. and Ford soon followed suit with a redesigned truck with a massive grille of their own. of perfect timing and we welcome it. the kit is available directly through American Expedition Vehicles or through Quadratec. the NuKizer 715 that was introduced in Moab earlier this year and received rave reviews. 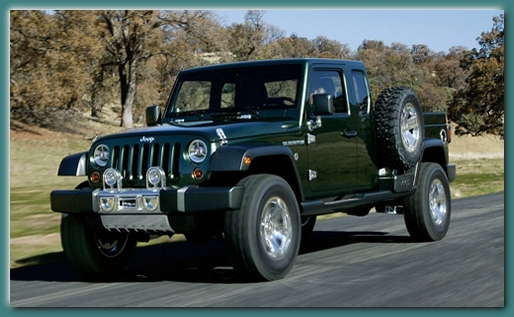 Discuss the All New 2012 Jeep Truck on the JeepTruck.com Forum - Check it out Now!